Alexandra Gate at 9780 Cambie Road, Richmond, BC, V6X 1K3. This new 4-storey, 193 unit condo building was completed in 2013. Alexandra Gate is close to Lansdown Centre Mall, Aberdeen Centre Mall, New Hong Kong Supermarket and T & T Supermarket. Walk to Tomsett School, RC Talmey Elementary School. Close to Blue Spruce Montessori School And Kwantlen University College. Listings Listed By: 1. 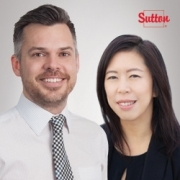 Sutton Group-West Coast Realty 2. Trulton Realty Inc.
• Gas line for barbecue (most units)? • Guest parking and bicycle storage availability?